Partly because I’m going to a whole grain conference, a mini-version of The Grain Gathering (yes, there is such a thing), and because the biscuits I recently posted weren’t very tall, and because that’s what I wanted for breakfast, yesterday I made a biscuit using all Hard Red Wheat flour. I normally would have used a combination of whole grain flours, but didn’t have any Einkorn or Emmer ground and ready to go. All-whole wheat products carry a reputation. These food items have been known to be heavy, healthy (not in a good way), and hard to digest. Memories of hockey-puck-bread commiserating ingastro with not-quite-presoaked-enough soup lentils, give pause, even concern about making “healthier” versions of loved baked goods. Whole wheat products often have sweeteners added to aid the leavening but I don’t want to add sugars to my non-dessert foods. 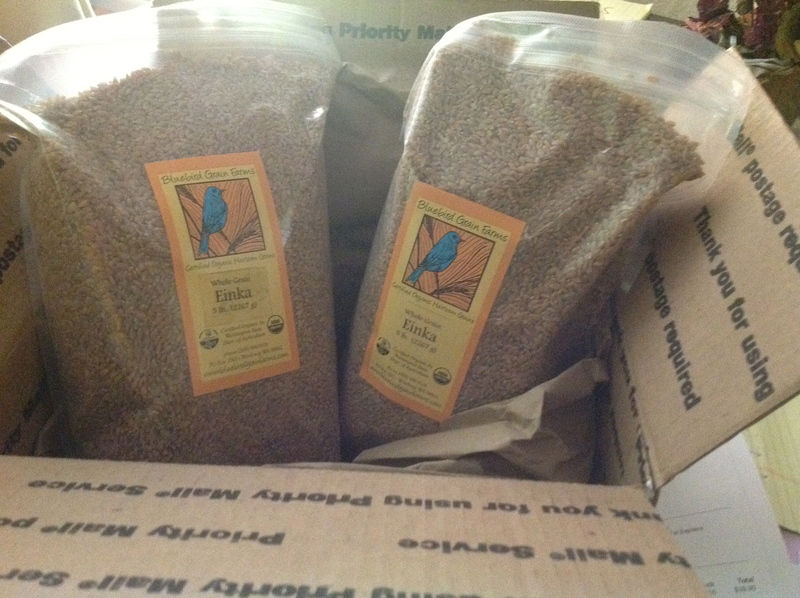 Happily, I’ve learned that adding cultured or fermented ingredients can do wonders for whole grain baking. Just as with refined flour baking, the acid in buttermilk or kefir helps break down the long, tough strands of gluten resident in strong flours, resulting in a more tender finished product. 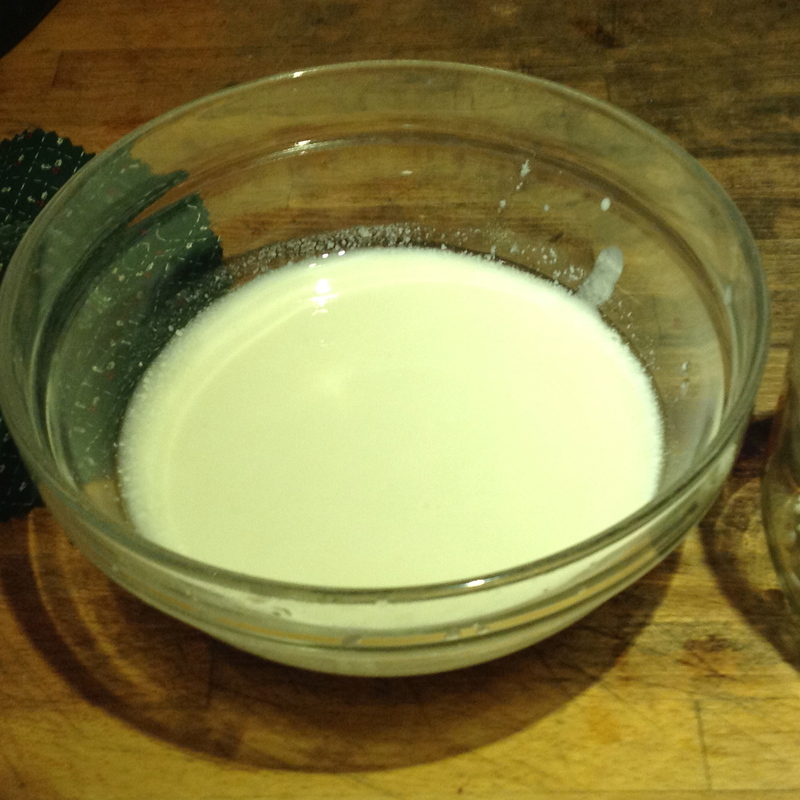 Instead of using the regular milk often called for in biscuit recipes, I use milk kefir. Kefir begins with little starter globules referred to as grains, globules that look like the large tapioca in bubble tea, combined with fresh milk that sits at room temperature until the milk thickens. Cute cloth top from my friend Jen! 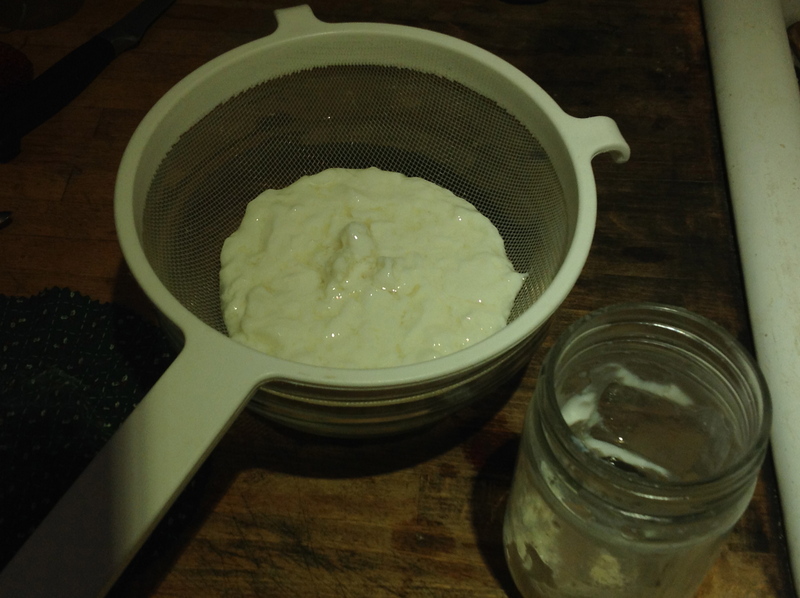 When thick, the kefir is strained, the thick sour milk recipe ready, and the grains able to restart the cycle in a clean jar. 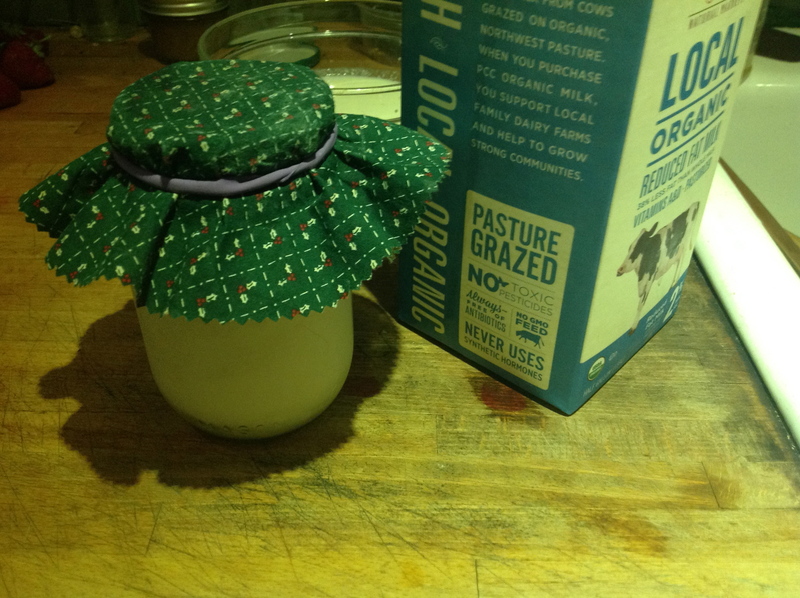 I make kefir in 1-pint jars, keeping it on hand in the refrigerator until needed. 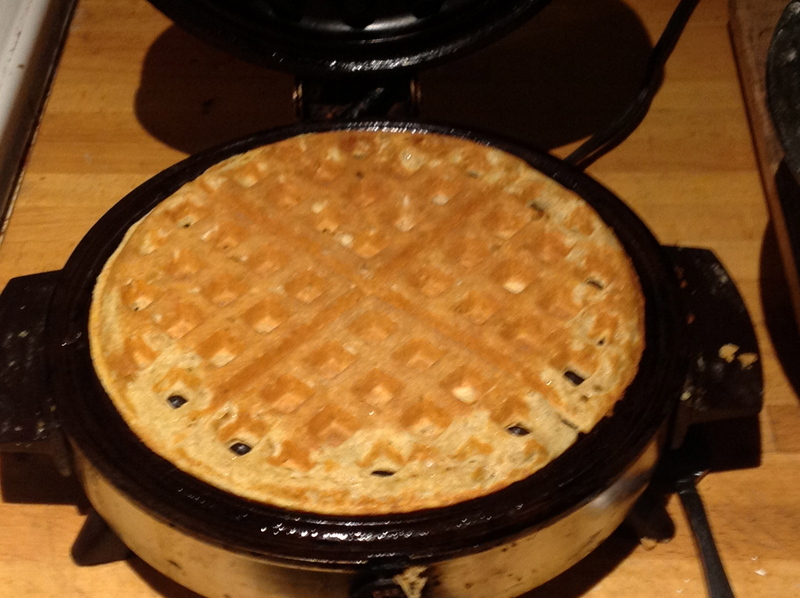 Having it at the ready for biscuits or scones or waffles is a treasure. 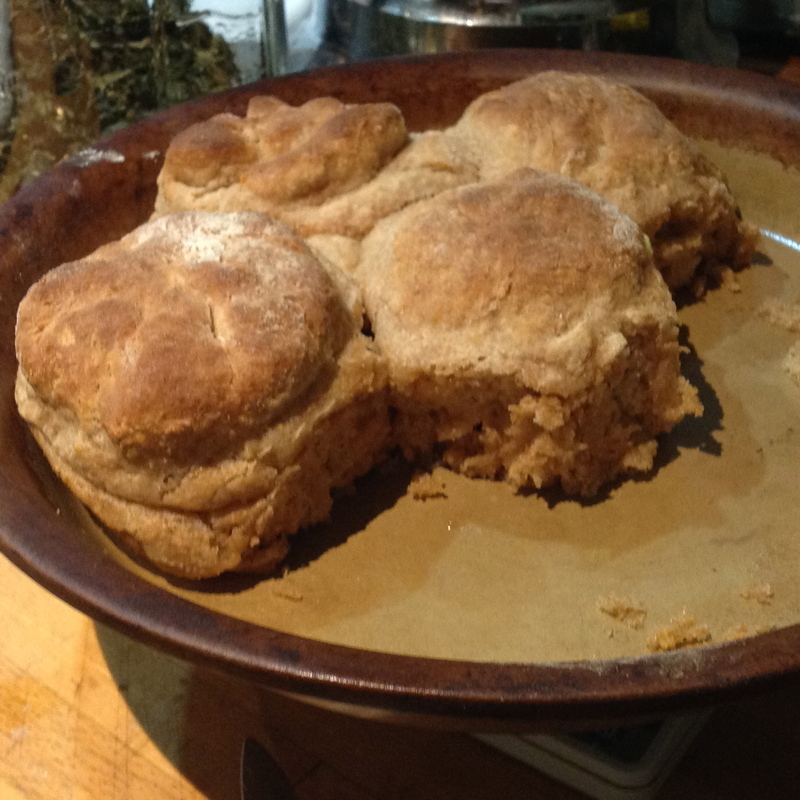 As for the matter of biscuits, my whole wheat recipe is below, with additional step-by-step instruction found here. 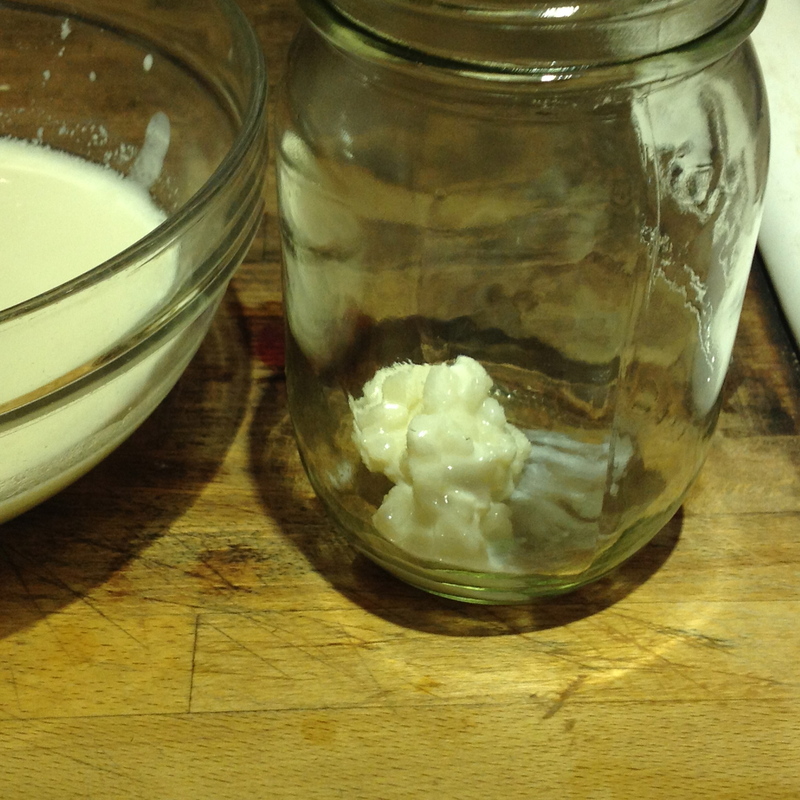 Using a little baking soda, along with baking powder, gives the lactic acid in kefir something more to play with. Additionally, a taller biscuit can be achieved by simply leaving the dough thicker before cutting out the circles. Yesterday’s batch was delicious! Combine the dry ingredients. Add the butter, cutting in until it resembles small peas. Add the kefir. Stir just until moistened. Scrape mixture onto a lightly floured work surface. Gently knead the dough for about 10 turns. 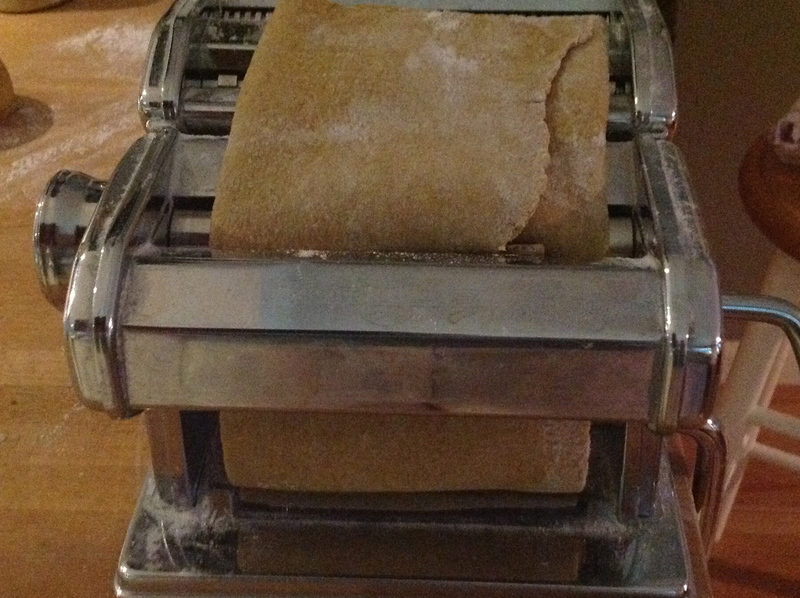 Using a bench scraper can help get the kneading started. 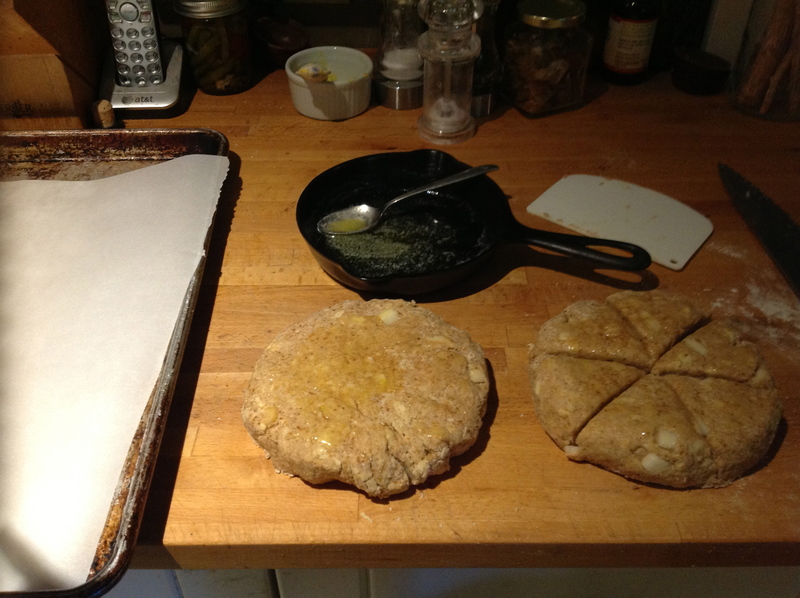 Press the dough out until ¼- to ½-inch thick. Use a biscuit cutter to form circles, or for thicker biscuits, press a drinking glass, with the circumference you prefer, into the dough. Place biscuits on pan or in a baking dish. Biscuits can be snug on the pan or sit apart. Thicker biscuits will need some space between them for even baking. Bake for 10-20 minutes, depending on the thickness and closeness you have chosen. For as long as I can remember, I have loved pears. Growing up, Pear only meant Bartlett. Green when picked, left to ripen in box or on counter, the bright yellow skin giving way easily to knife, juice on fingers and chin, my early childhood introduction to decadence and wealth. Our neighbors had grandparents with an eastern Washington fruit farm, so each late summer-early fall brought boxes of free-stone peaches, all kinds of apples, and Bartlett pears to our house. I could not appreciate the scope of such good fortune. In my now, I have the beautiful fortune of being involved with a group of people who want to support small farms and local farms. This all-volunteer, list-serve organized group finds farmers and produce, creates spreadsheets, organizes pick-up points, giving farmers & consumers access to each other that they wouldn’t otherwise have. 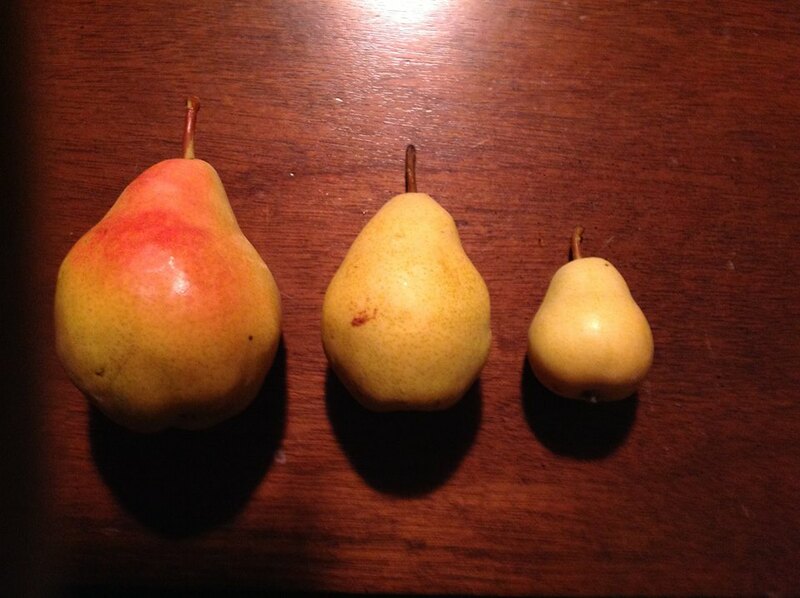 For three years running, my pears have been from Vince at Valley View Farm. These pears arrive without labels to remove, picked, sorted, and packed by people I have met, grown with respect for the planet and the workers who aid, part of a dream to provide good food for a family and anyone else who connects. The 35 pounds of pears ripening in my basement took their time, teasing with some yellow, but still too crunchy for eating, until BAM-they were all ready for the kitchen. This year we ate pears daily, I canned 7 quarts of what Junior calls “Jar Pears”, I dehydrated a load into sweet, tender deliciousness, and I used some in baking. 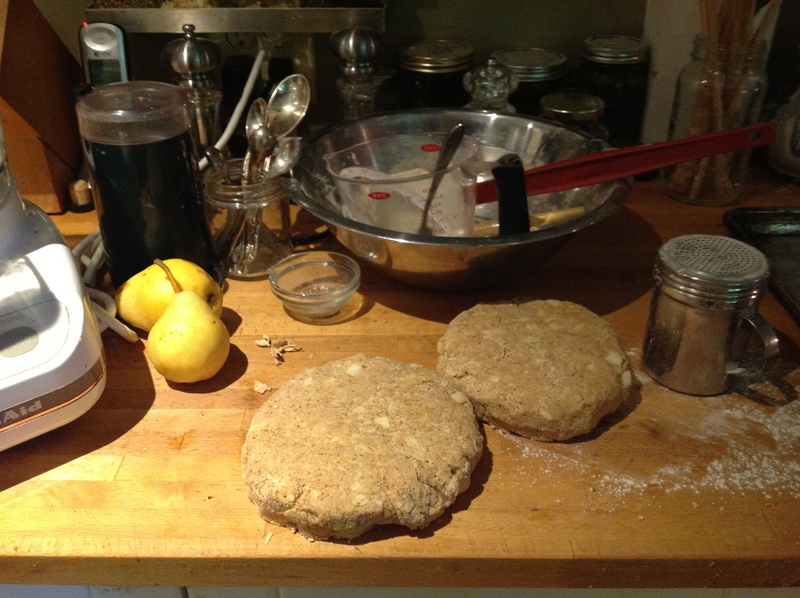 One of my favorite uses for fresh pear is to combine with cardamom and bake into scones. 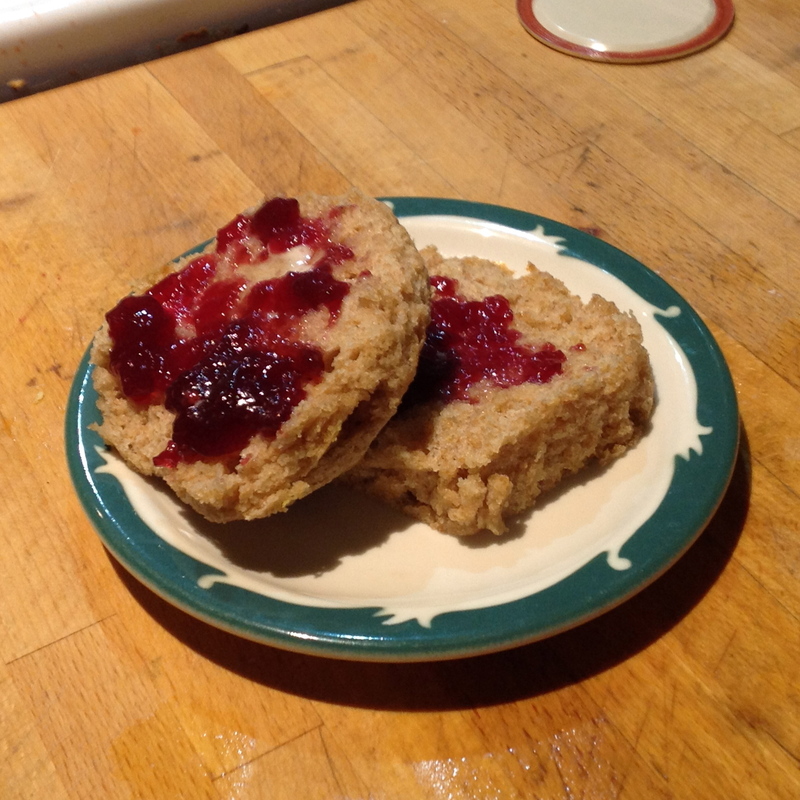 My scone recipe originates from Baking With Julia. 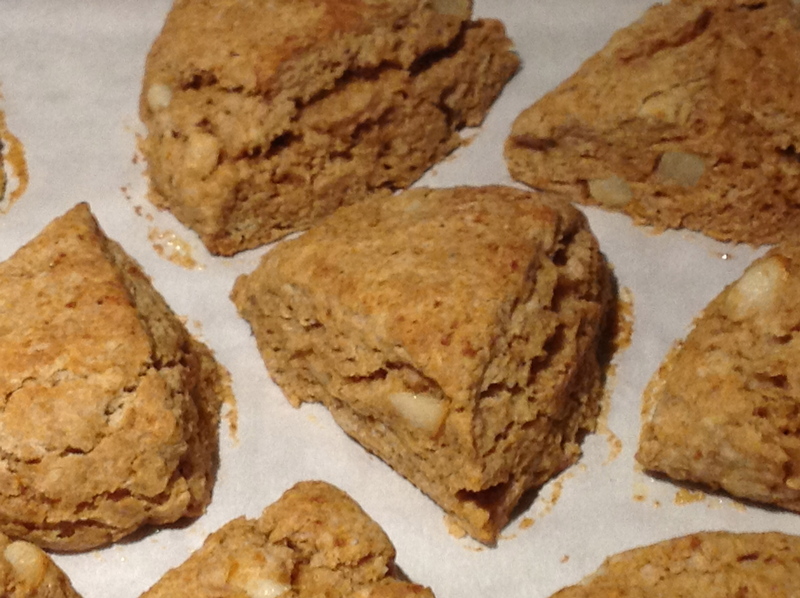 These scones are light, not too sweet, are tasty with lemon zest only, and hold up well when adding blueberries, raspberries, apples, or pears. 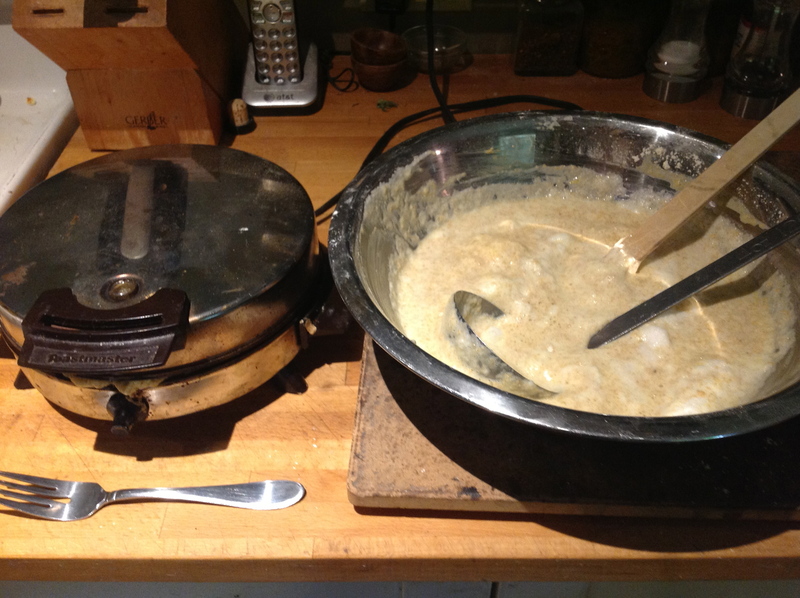 I use a food processor to mix the dry ingredients and cold butter, which is then poured into a mixing bowl. I next add the fruit, followed by the liquid. Scones, like biscuits, don’t want to be over-handled, preferring to be kneaded with a “light hand” just until the dough comes together. The dough is then divided into two circles, brushed with melted butter or heavy cream, cut into pieces, and baked in a hot oven. Care taken by keeping the butter cold, pieces processed just to the size of peas, will give the scones lightness and lift as the hot oven melts the fat, leaving precious tiny pockets of air in the finished product. This recipe calls for buttermilk which I never have on hand, so I substitute sour milk: 1 tbsp apple cider vinegar poured into a 1 cup measure, add milk to fill; let sit for 5 minutes. Try other fruits, fresh or dried, and different spices to combine with. 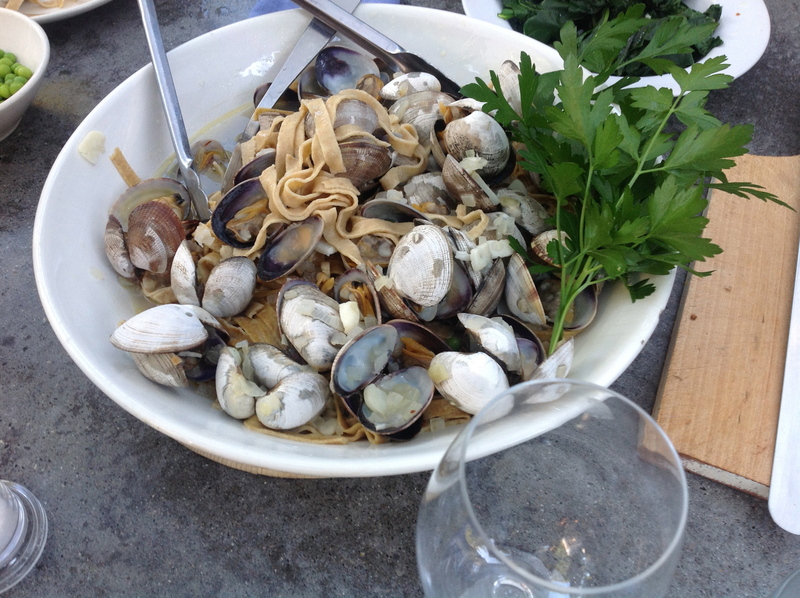 Add a tablespoon of grated lemon or orange zest. Try out with your preferred gluten-free flour mix or vegan fat of choice, as long as the fat is solid at room temperature. In the recipe below, I used a combination of Einka and whole wheat flours, a total of 3 cups, but a useless measure when using alternative flours. 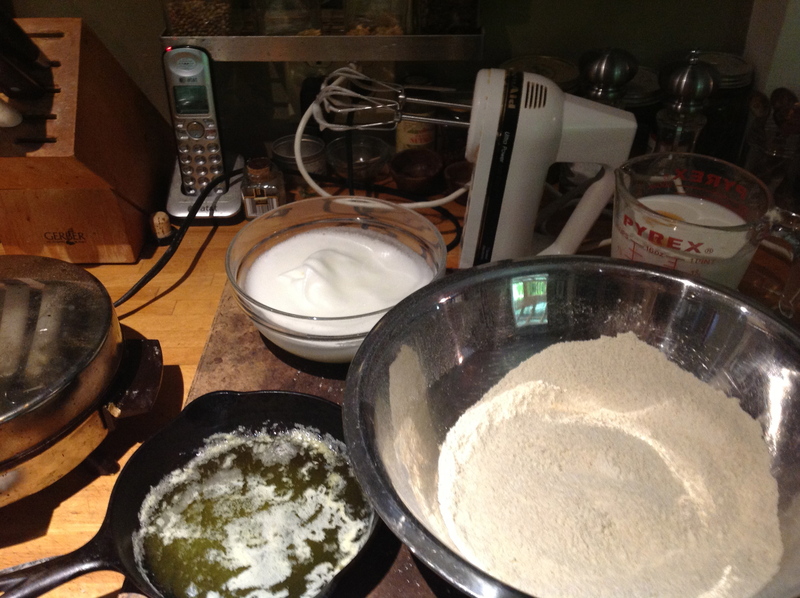 I use a standard of 1 cup flour = 4.9 ounces to make conversions. Cheers! Combine the dry ingredients in bowl of food processor. Add the bits of butter and pulse carefully until it becomes the size of peas. 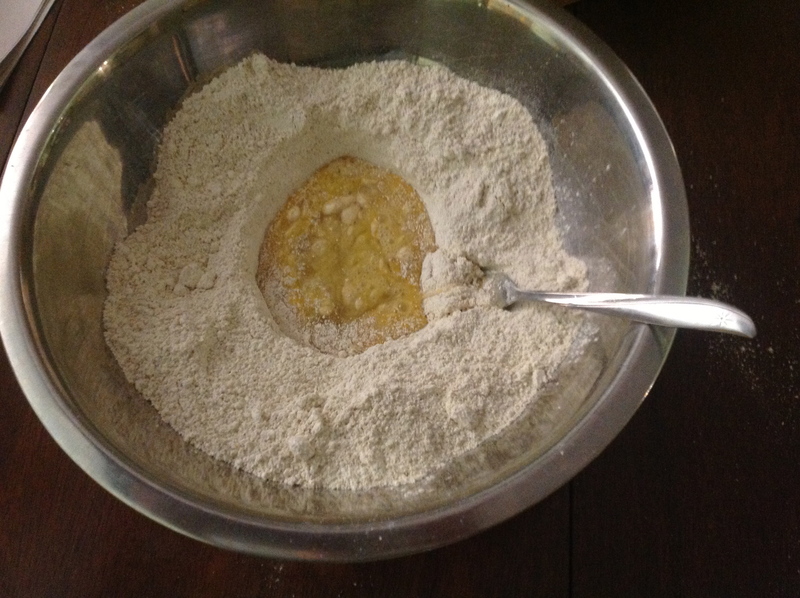 Place flour mixture into large mixing bowl. Stir in diced pears, coating well with flour. Pour in milk, stirring gently to avoid crushing the fruit. 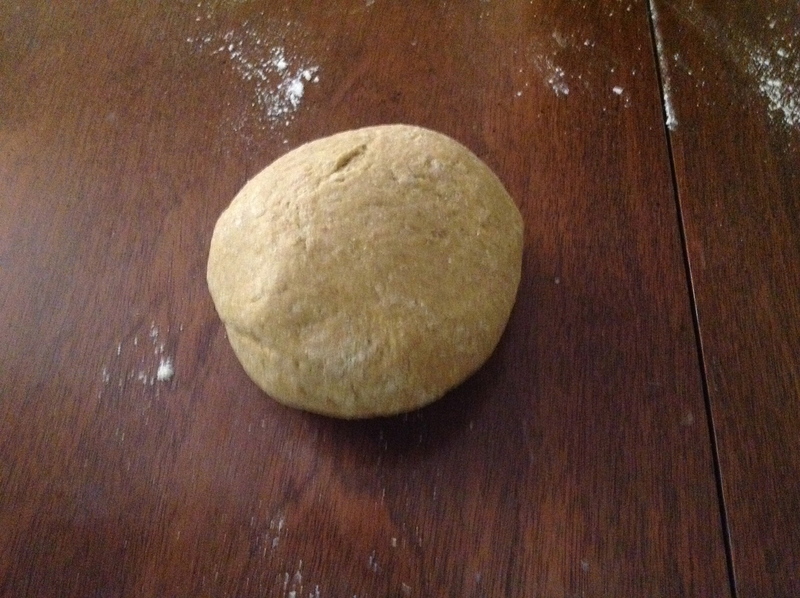 Gather dough into a ball, turn onto lightly floured work surface. Knead gently & briefly, 10-12 turns at the most. Divide dough into two equal parts, form into disks, brush with melted butter or heavy cream. Cut each disk into 6 wedges. Sprinkle with coarse sugar for an added sweet and sparkly finish. Early in my cooking life, I found myself intrigued with gadgets, gizmos, and trendy must-haves for any kitchen, many of which are now stowed away, given away, or garage-saled away. The few things I love and use regularly are: tongs, whisks, sharp knives, swivel-head peeler, zester, stainless steel bowls, glass stacking bowls, wooden spoons, metal spatulas, immersion blender, Kitchen Aid mixer, and my digital scale. Of these, the one thing from which I’d never want to part is the scale. Measuring implements are not created equal. For that matter, vegetables are not created equal either. When recipe calls for: 1 onion, chopped, how much onion is that? If a recipe is developed for cups of white, all-purpose flour, how can I know the type of measuring cups used? Is it possible to substitute other flours using the same measurement? I have an assortment of measuring cups. If I use the one-cup measure from Set A, will using the half-cup measure from Set B give me the correct ratio? All of these dilemmas can be removed by using a scale. A pound is a pound, whether of flour, fruit, or flesh. 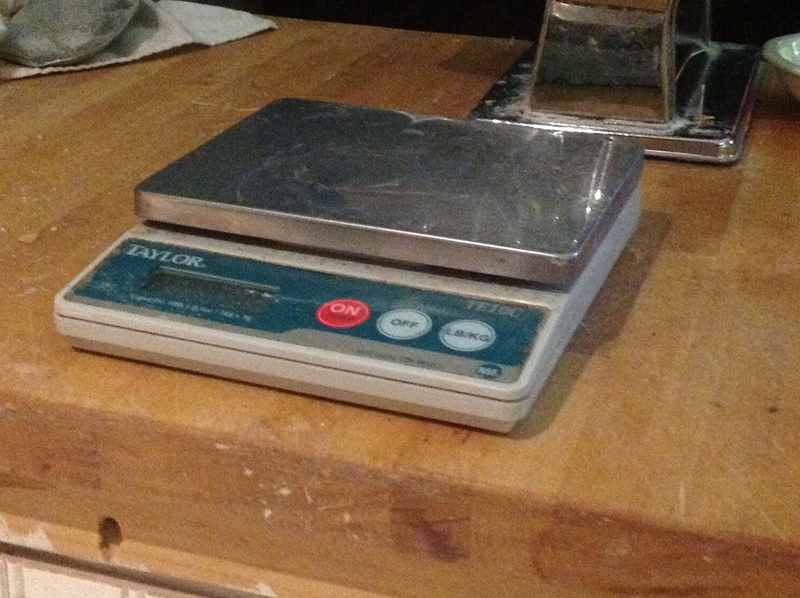 When I began making sourdough bread, which requires ingredients to be measured by weight, I gradually switched many of my baking recipes to pounds & ounces. I know the pizza dough requires 12-oz of flour, the cheesecake requires 2-lbs of cream cheese, the ganache requires 13-oz of heavy cream, and the pancakes are happiest with something closer to 11.5-oz of milk. Somethings, like pancakes, don’t always require the weighing of flour as the batter, thick or thin, is a matter of preference, but in a commercial kitchen, consistency and cost control dictate that all recipes be scaled. Thanks to my secret lover Excel, I can know how much made-at-home pizza costs vs Pagliacci delivered. All that being said, I get lazy. 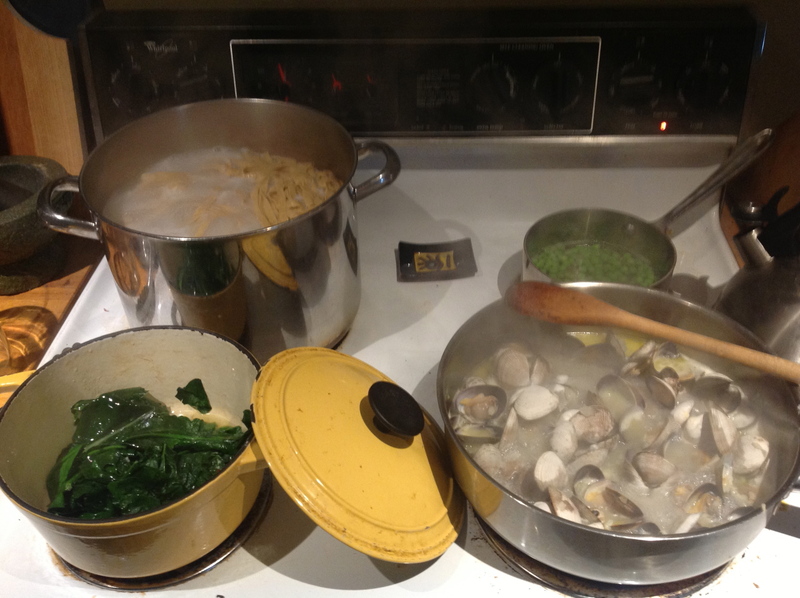 I find new recipes, I make substitutions, the end results seem fine. 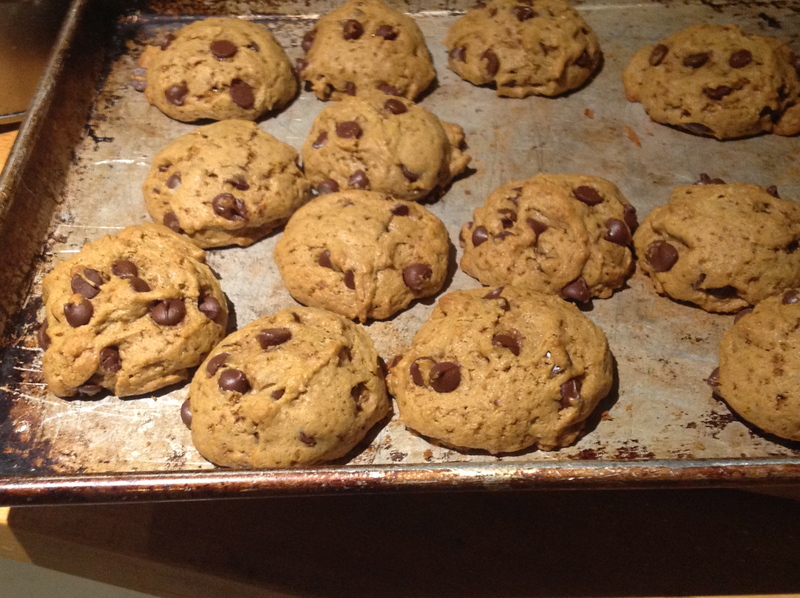 For a while now, I have used a chocolate chip cookie recipe from Cook’s Illustrated The Best Recipe. This recipe calls for melted butter, lots of sugar (brown & white), all-purpose flour (2 cups + 2 tablespoons, usually a give away that the original recipe formulations used a scale), an egg plus egg yolk, and the other usual baking bits. From the get go, I used only evaporated cane juice for the sugar, and of that I reduced the recipe amount by half. 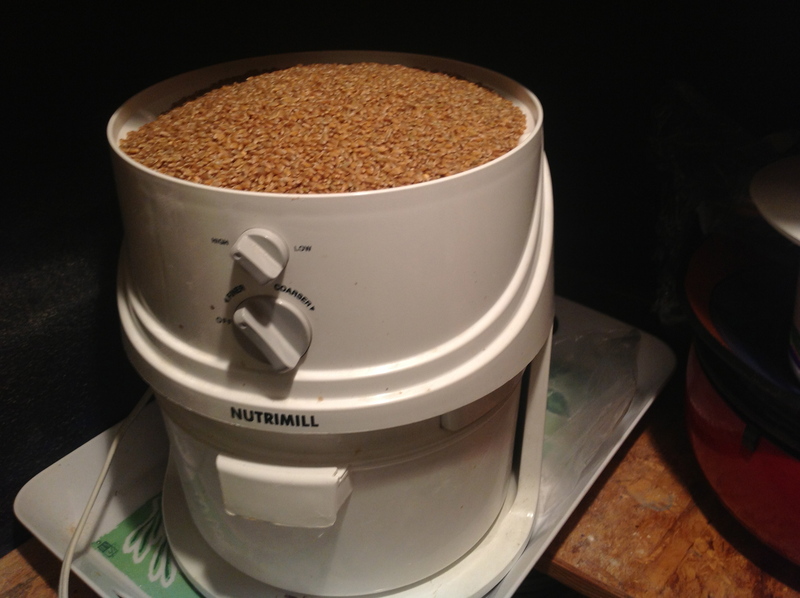 I usually replaced half the flour with whole wheat, and when I was grinding the sprouted flour, I replaced the white flour completely. Eventually, I stopped adding the 2nd yolk, just using 2 whole eggs instead. Most recently, I’ve switched to using coconut palm sugar, which is very different from sugar sugar or ECJ. So, last night, after the successful einka pasta, I thought some einka chocolate chip cookies were in order. Knowing that the einka flour was looser than regular whole wheat, and knowing that baking science is more exact than that of cooking, I measured one cup. It weighed 3 ounces. I grabbed a cup of white flour and it came in at 4.6 ounces. 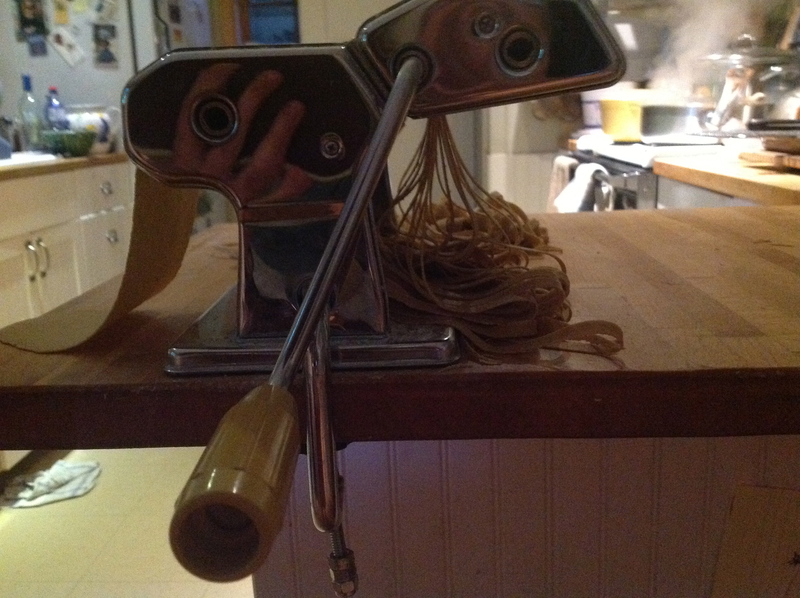 I would need to scale recipes when using the einka. Even though I did throw in too many chocolate chips (I found a bargain on 42% cocoa rather than my preferred 65%) which upped the total sugar content and sweetness level, the cookies are delicious.